Case Western is located in Cleveland, Ohio with four teaching hospitals in the area and a student run clinic. They are ranked #25 for research and #60 for primary care by U.S. News and World Reports. They accept 155 students each year. Classes are pass/fail in the first two years. Students are placed in one of four advising societies and maintain involvement throughout all four years. They have IQ (inquiry) teams of eight to nine students, that discuss two cases, three times a week with a faculty member. Teamwork is built into the curriculum. It focuses on four themes: research and scholarship, clinical mastery, leadership and civic professionalism. For more information about their curriculum, check out case.edu/medicine/admissions/programs/university-program/curriculum and our podcast interview with Dr. Lina Mehta, Associate Dean for Admissions at Case Western Reserve University College of Medicine. This school is looking for students who are well rounded in all of these areas: scholarship, interpersonal communication skills, leadership, teamwork and community service. 1. The admissions committee is interested in gaining more insight into you as a person. Please describe a significant personal challenge you have faced, one which you feel has helped to shape you as a person. Examples may include a moral or ethical dilemma, a situation of personal adversity, or a hurdle in your life that you worked hard to overcome. Please include how you got through the experience and what you may have learned about yourself as a result. Please limit your response to 1 page (about 3,500 characters), and leave a blank line between paragraphs. If the 3,500 character recommendation is exceeded, your essay WILL still be saved in its entirety. Given the size of this character limit, you have space for a five paragraph essay. Start by making a list of obstacles that you have overcome. Choose the one that has had the biggest impact on your identity. A one-time event would be a strategic choice if it had long term effects on you and your development. There are many different topics that would work well for this essay, like traveling to a different country, having a unique life experience or making a difficult decision that had major consequences. Introduce the idea in the first paragraph. Give background on the situation or event in the second paragraph. Use the third paragraph to explain “how you got through the experience.” In the fourth paragraph, you can detail what you learned. In the conclusion, look at the bigger picture. How did the event have an impact on your life, identity and/or career path? One of the four pillars of the Western Reserve Curriculum is Research and Scholarship. Although research is not a pre-requisite requirement for the University Program, if you have participated in research or in another scholarly project please tell us about it. Describe your experience, including the question you pursued and how you approached it, your results and interpretation of the results, and most importantly, any thoughts about what this experience meant to you. Remember that the definition of research is broadly-based and can include such projects as a senior capstone or a thesis, and can include both medically and non-medically-related investigations. If you have not yet participated in research or scholarly work, please indicate NOT APPLICABLE below in the space provided. Your application will not be viewed unfavorably if you have not participated in scholarly work or research. This prompt also provides the structure for your essay. Another five-paragraph essay will work here, if you are writing about one major research experience. In the introduction, you can explain the basics of the project and your role. In the second paragraph, provide a detailed description of the project and the research question. For the third paragraph, discuss how you “approached it.” In the fourth, cover the outcomes and any interesting developments in the data for the project. Last, you can use the conclusion to share the overall impact the research had on you. If you have participated in several different research projects, the best way for you to use this space will be to use each paragraph to answer all of these questions about one project at a time. You’ll cover each project, in detail. If you would like professional guidance with your Case Western Reserve University School of Medicine application materials, check out Accepted’s Medical School Admissions Consulting and Editing Services, which include advising, editing, and interview coaching for the Case Western Reserve University School of Medicine application materials. Alicia McNease Nimonkar is an Accepted advisor and editor specializing in healthcare admissions. Prior to joining Accepted, Alicia worked for five years as Student Advisor at UC Davis’ postbac program where she both evaluated applications and advised students applying successfully to med school and related programs. 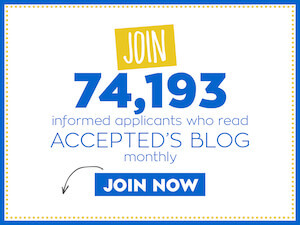 Want Alicia to help you get accepted? Click here to get in touch! Last updated on February 12, 2017.